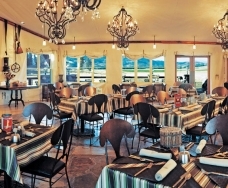 The Tank & Trough restaurant offers meals with a bit more western flair. Home-cooked flavors mingle with traditional offerings for a rustic, yet refined taste palette. Here, you may find hand-cut meats combined with simply prepared local vegetables. Satisfaction guaranteed.